Rudder post and cables on stern of chaser. T. Woofenden Collection. This is a photo from the collection of a Navy medic stationed at Inverness, showing the rudder post and steering cables. 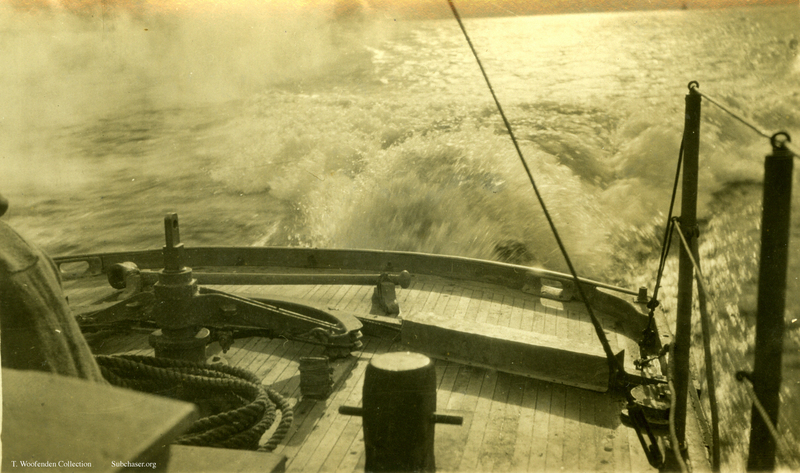 Note the tiller lashed to the deck. In another shot (also posted) it is shown lashed to the aft deck house.